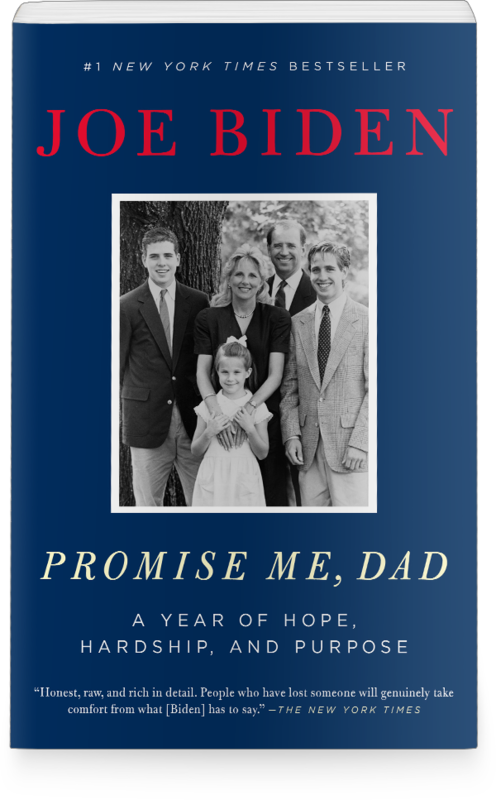 An intimate memoir from the vice president that reveals the most momentous year in the more than forty-five he has spent in public life. Not just a recounting by a politician, Promise Me, Dad is a personal story from a father, grandfather, husband, and friend as he confronts the inevitability of devastating personal loss, while trying to balance his duty to his family and his country. Promise Me, Dad: A Year of Hope, Hardship, and Purpose. For event-related questions, email . ©2017–2018 Flatiron Books. All Rights Reserved.